We all want to invest in property to make money right? Finding the types of properties that will give us a big return on investment (ROI) is super important, which is why we are covering it in tomorrow’s lesson. But before you can find properties with a high ROI you first need to know how to calculate ROI. Calculating the ROI can be done in a number of ways. 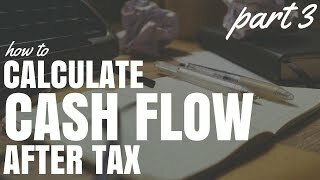 One of my favourite ways that I find useful for people investing in positive cash flow property is called Cash On Cash Return. If that doesn’t make 100% sense don’t worry I will explain it in today’s less. We will also talk about the BIG BIG BIG impact tax has on cash flow. Like elephant big. Like blue whale big. Like UY Scuti big…ok maybe not that big but it has a big impact (you get the idea).